Edinburgh have confirmed that Scotland international Hamish Watson has penned a new deal that will keep him with the Pro14 club at least 2021. Edinburgh have confirmed that Scotland international Jamie Bhatti will join the Pro14 club from rivals Glasgow Warriors at the end of the ongoing season. Edinburgh have confirmed Fiji international Viliame Mata has penned a new deal that will keep him with the Pro14 club at least until the end of the 2020/21 season. He has helped propel the careers of Vereniki Goneva, members of the Tuilagi clan and Viliame Mata to new heights - and now Richard Cockerill has his eyes on the next generation of Pacific island stars. Charlie Shiel and Ross McCann grew up in the same street in Edinburgh - and fast forward a number of years and their exciting rugby journeys have continued in South Africa and New Zealand this week. Scotland assistant coach Mike Blair noticed a definite spring in the step of the Edinburgh Rugby and Glasgow Warriors players - and he believes the good European runs of both clubs can only help Scotland going into the Six Nations. Edinburgh went on to secure home quarter-final in the ongoing Heineken Champions Cup after they went on to beat Montpellier 19-10 at BT Murrayfield Stadium on Friday. Edinburgh Rugby head coach Richard Cockerill is not basking in the glory of Saturday’s historic win away to Toulon, but instead he is asking his players to take things up yet another notch when they take on Montpellier on Friday. Fijian No.8 Viliame Mata is the “talisman” that Toulon have to stop when Edinburgh Rugby visit the Stade Felix-Mayol on Heineken Champions Cup duty this weekend, according to home star Liam Messam. Edinburgh have confirmed that Scotland international Murray McCallum has penned a new two-year contract with the Pro14 club. Edinburgh Accies Harry Paterson will be involved at a training camp with Scotland U18s this weekend and he'll be hoping to impress after an excellent few months. Scotland international Grant Gilchrist has signed a contract extension with Edinburgh that will keep him with the Pro14 club at least until 2022. 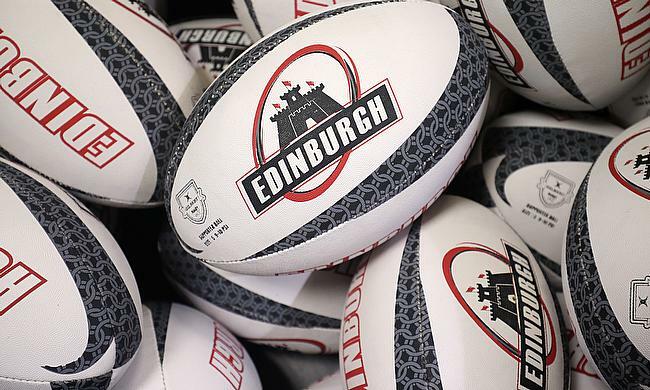 Edinburgh put on a strong second half display as they managed to beat Newcastle Falcons 8-21 to boost their play-off hopes in the ongoing European Rugby Champions Cup at Kingston Park on Sunday. Edinburgh managed to outplay Newcastle Falcons with a 31-13 victory during the Heineken Champions Cup Pool 5 clash at BT Murrayfield Stadium on Friday. TRU’s Chris Heal chatted with Edinburgh lock Callum Atkinson about his journey from Wilmslow High School to the Scottish capital for our latest Emerging Talent article.